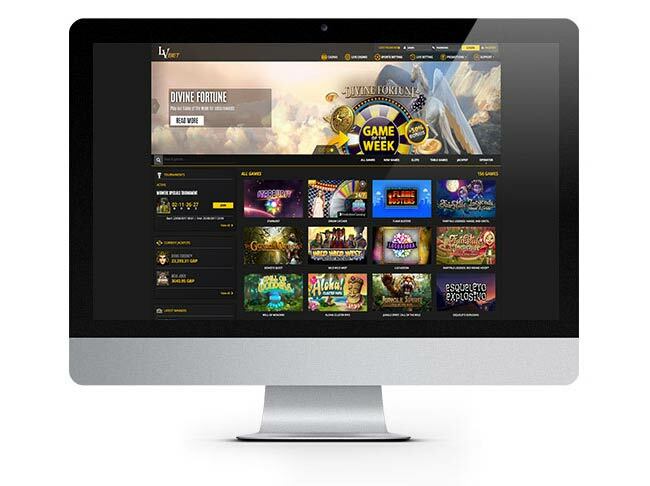 LVbet Casino is a brand new online casino and a serious contender for the other top casinos. It is a really nice looking site playable on any device - desktop, mobile, tablet or possibly even your TV! LVbet is operated by Fairload Ltd (a Maltese company) and is authorized by the UK Gambling Commission. It was originally Malta licensed. Claim your no deposit free chips via our special links or banners and try your luck! 3. Fill the registration form and confirm. You will receive an email with an activation link. Click on it and activate your LVbet account. 3. 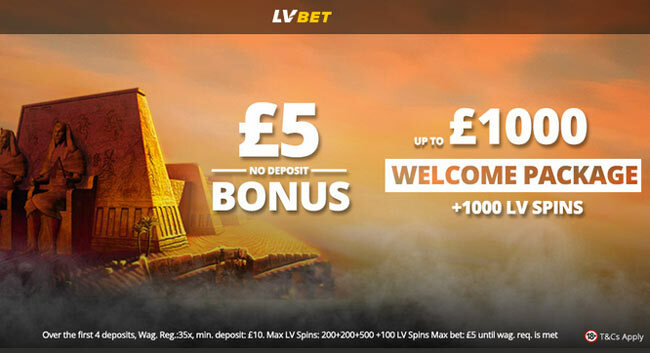 LVbet bonus department will credit your €/£5 no deposit bonus in maximum 24 hours! 4. Plus, enjoy a bonus on your first 4 deposits up to £1000 (or €1000) and £1000 extra spins! The LV Wheel - access to exclusive rewards including Bonus Money, Cash Prizes and LVPoints! No deposit chips and 4 deposit bonuses, hard to resist. 2. The bonus is available to players from UK, Austria, Finland, Germany, Iceland, Luxembourg, Norway, Russia and Hungary. 3. The bonus cannot be wagered on table games, live casino, Video Poker and a bunch of restricted video slots. 4. Max withdrawal: €/£100. Everything above this amount will be removed. Withdrawals require proof of identity and address. 6. The bonus is valid for 3 days. 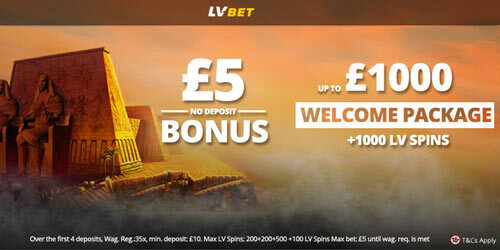 "LVBet Casino €/£5 No Deposit Bonus"